The Center for Limb Lengthening & Reconstruction, Mangal Anand Hospital, Mumbai for innovative orthopedics is renowned for its advanced approach to limb lengthening and reconstructive surgery. Based on the philosophy “Excellence & Perfection” the Center for Limb Lengthening & Reconstruction, offers first class treatment from the moment patients arrive. Certified staff members of the Center for Limb Lengthening & Reconstruction team personally guide patients through every phase of limb reconstruction. Known for its commitment to the patients, it is no wonder that the Center for Limb Lengthening & Reconstruction, Mangal Anand Hospital attracts so many national & international patients year round. 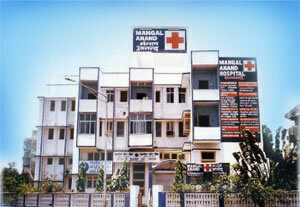 The Center for Limb Lengthening & Reconstruction is a part of the Mangal Anand hospital in Chembur, Mumbai, India which offers the benefit of having state-of-the-art equipment for specialization in limb lengthening, limb reconstruction & trauma surgery, plastic and hand surgery, spine surgery, general surgery, general medicine, radiology, anesthesiology and emergency care. The Center for Limb Lengthening & Reconstruction, at Mangal Anand Hospital is the most experienced facility in this part of the world involving the full gamut of external & internal fixation methods. The results achieved in the facility in reconstructive or cosmetic lengthening procedures with internal or external devices are comparable to any other leading center in the world. The general tendency of people with orthopedic problems is to look for solutions that are non-surgical. More complex the problem is, more one tries to exhaust options that are the least rewarding. The list of queries keeps getting longer and longer without getting any realistic solutions. There are numerous conditions whether simple or complex, where surgery is the only answer. Months and years together are spent in search of centers where surgical precision is matched with latest techniques and personalized care for every patient. The Center for Limb Lengthening & Reconstruction, Mangal Anand Hospital, Mumbai offers you realistic & comprehensive solutions to your orthopedic problems, with the team leader Dr Mangal Parihar showing the way and state of the art & latest instruments & techniques.